+ See the March 5th Community Workshop presentation here. + See the three preliminary design schemes here. + See the November 2018 Kick-off Community Workshop summary here. + Online Survey: In an effort to collect a wide range of community input during the visioning process we have created an online form. 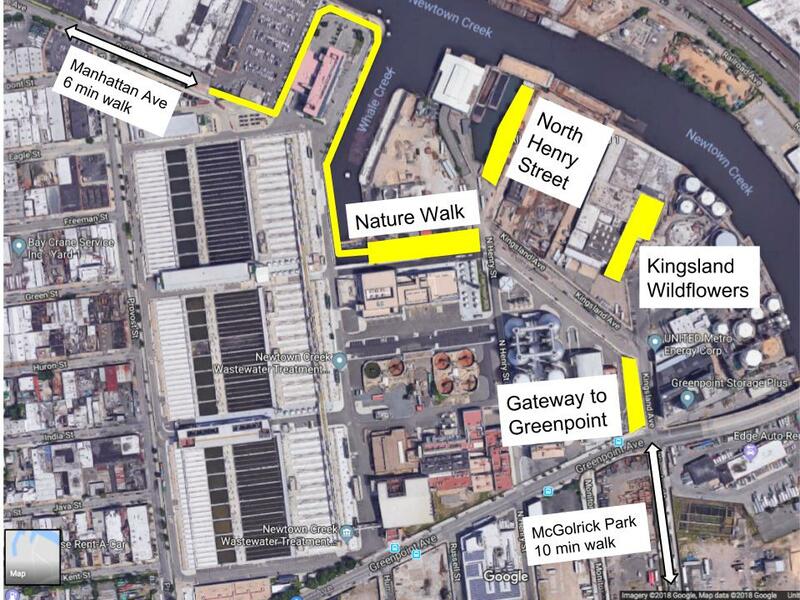 If you are interested in the site please share your thoughts with us, by filling out the Gateway to Greenpoint survey. NCA is working to develop a community-driven plan that creates public access and ecological benefit for a 13,000 sq foot city-owned parcel at the corner of Greenpoint and Kingsland Avenues. The parcel is managed by the NYC Department of Environmental Protection (DEP) and was offered as a community amenity during the upgrade of the Newtown Creek Wastewater Treatment Plant (WWTP). With construction of the plant complete the site has sat dormant and community pressure and direction is required to develop, utilize and protect this resource. The development of this parcel will connect with other public access/restoration projects along this block of Kingsland Avenue, including the Kingsland Wildflowers green roof (completed 2017), phase 2 and 3 of the Nature Walk (2020) and restoration along North Henry Street Public Basin (ongoing). The site is located within an area of Greenpoint with a severe lack of greenery and ongoing burdens of air pollution and soil contamination. 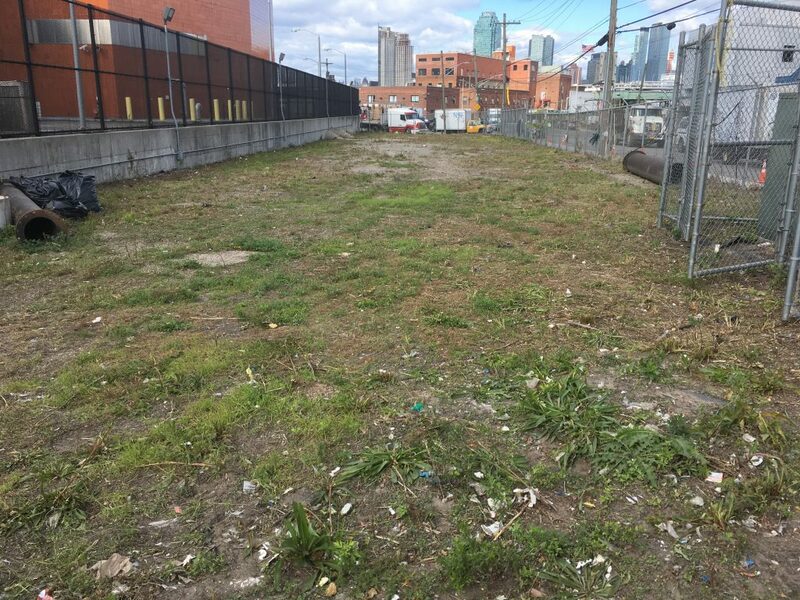 The value of transforming an empty and barren lot, two blocks from residential areas, to a public area with plants, trees and wildlife habitat offers environmental, human health and educational benefits for years to come. the City is excited about and committed to making a reality. This project is made possible with generous support from the Greenpoint Community Environmental Fund and the Office of the New York State Attorney General and the New York State Department of Environmental Conservation.